I’ve never used one of these, but a couple of my coworkers swear by them. If you’re a lazy person like myself, it’s tempting. 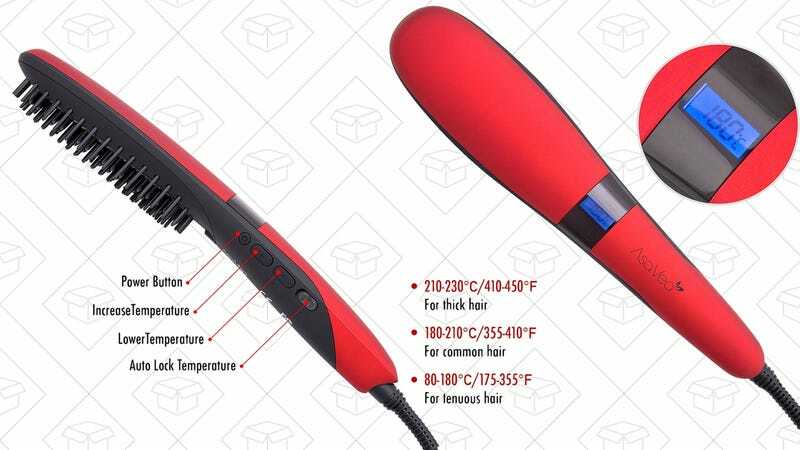 For $20, straighten and brush through your hair in one swipe with this ceramic straightening brush. Use the code KPB9MV8S to see the discount.